Updated 06/26/2008 - Grand Trianon Recolors to be compatible the Grand Trianon Kitchen. Thanks to catscelt for requesting that I update this. 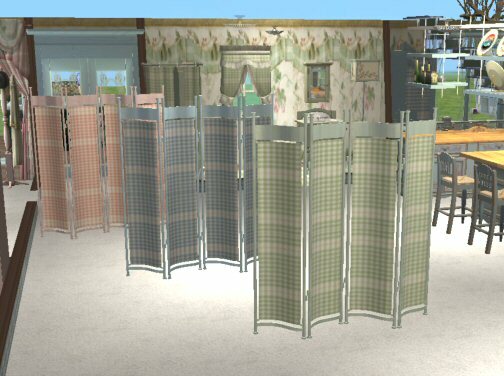 I designed this set to complement the Country Set Included with Maxis Season EP5. I've re-colored the Grand Trianon set to complement my re-colors and to give everyone lots of items to mix n match. There are actually only two files that I re-colored, needed for this wonderful creation by the Dream Team. 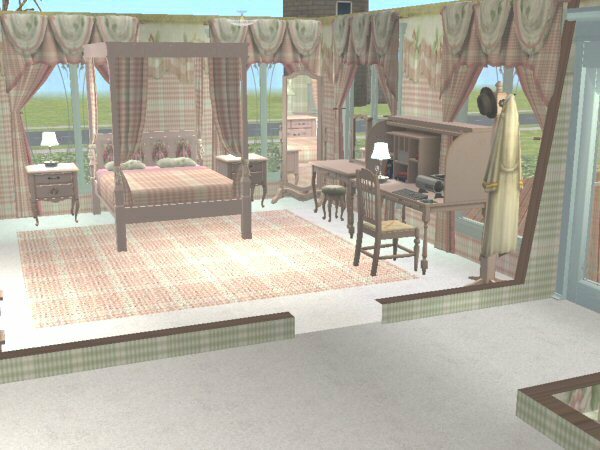 The set uses the resources from the Bedroom Floor Mirror. So you must have this file in order to use these re-colors. I highly recommend that you get this full set; it's one of the nicest I've come across. I especially love the windows and the bunk beds. I did not make photos of the bathroom items which use the expensive toilet for it resources. I did recolor the toilets in a very subtle color of the 3 afore mentioned colors. All other items pictured are included in the Country Set that was included with the Seasons EP. I’ve only used them to show how my set compliments it. At least in my opinion, I hope some of you think so too. Thanks to everyone who makes all this possible. 263 people have said thanks to rebecah for this download. 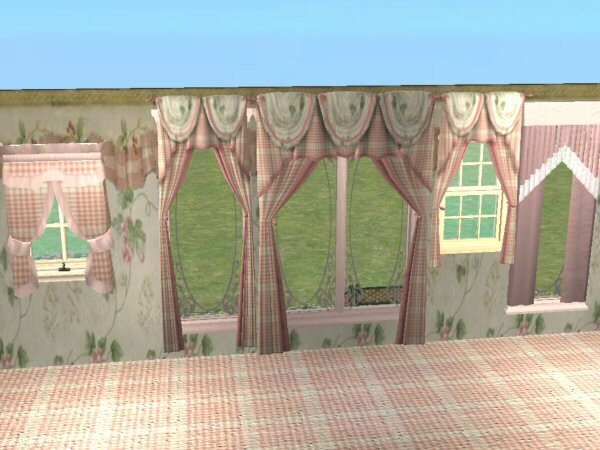 The Grand Trianon Collection - *UPD 20 MAR 2008* by The "Dream Team"
"Country Roads, take me home ..."
Colortura Backless Shower - Updated Mesh!